The school year is almost over and there is just one more day left until summer vacation. I’m feeling so frustrated, anxious, and happy at the same time. Today was my last day to work on my Mac Lab final and I’m pretty sad that I didn’t get to finish one of my most important collage this year. But next year will be even better and I hope I’ll become a more professional digital artists. I so much big plans and I hate missing out on them. Good thing there will be the Mac Lab Summer Academy-this should keep me busy for a while. I also have the Adobe products right here at home so I can start creating things on my own time. I can’t wait to see the finished Mac Lab iBook when it’s all sorted out and put together. The featured image here was a cover page I designed for my student chapter. I had to redo the design a couple of times since I wanted it to look good. 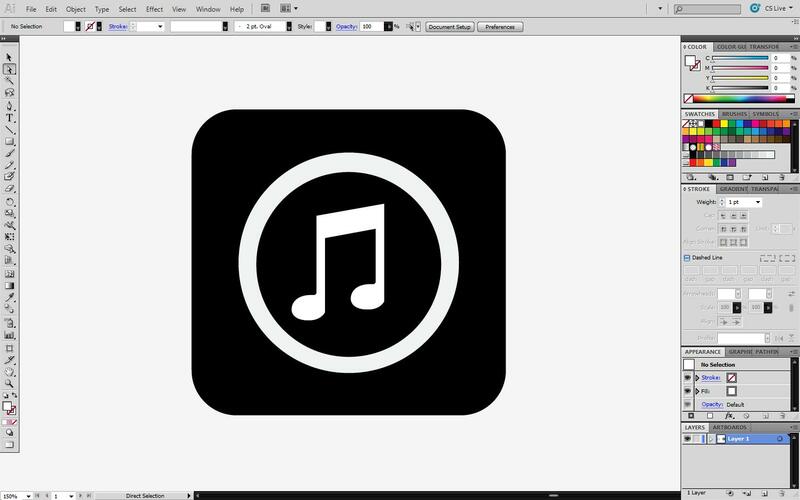 Just a little update showing how many more application icons I recreated in Illustrator. Top Left: AppStore, Top Right: Settings, Bottom Left: Photos, and Bottom Right: iPod. Announcement: FJ STUDIOS HAS BEEN UPDATED. An easy 5/10 minute tutorial to recreate the iTunes icon into vectors using Adobe Illustrator. As before, I’ve included a demo file. 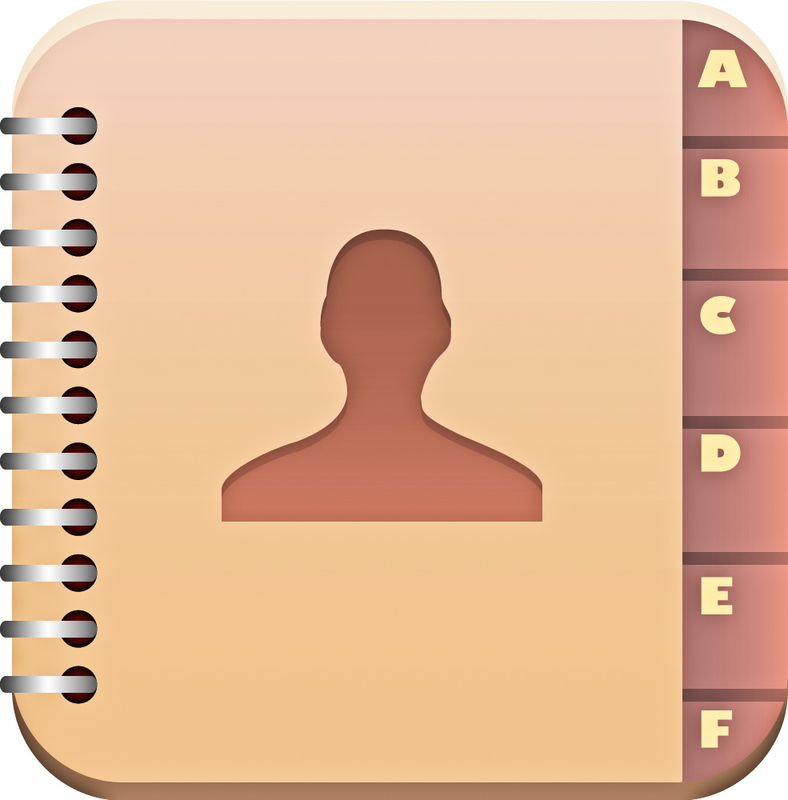 Download it via box.net if you want to use it/work on it. There are lots of pictures so don’t figure to click them all or you might get lost and skip a step or two. Start out by creating a simple box, preferably not exactly square. Color it anything so you can see it. 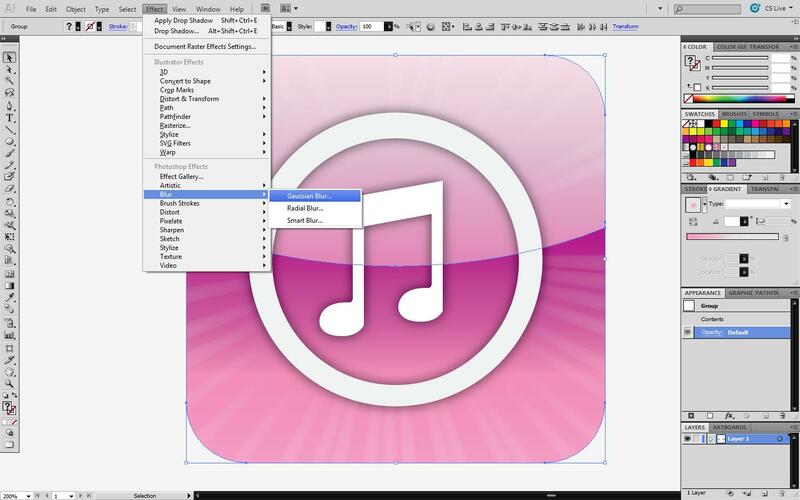 Go to Effect>Stylize>Round Corners and then a window should pop out. Write anything for “radius” but make sure the corners are very round. I used 53 for my radius. I recommend having smart guides on for the next series of steps (Cmd+U). 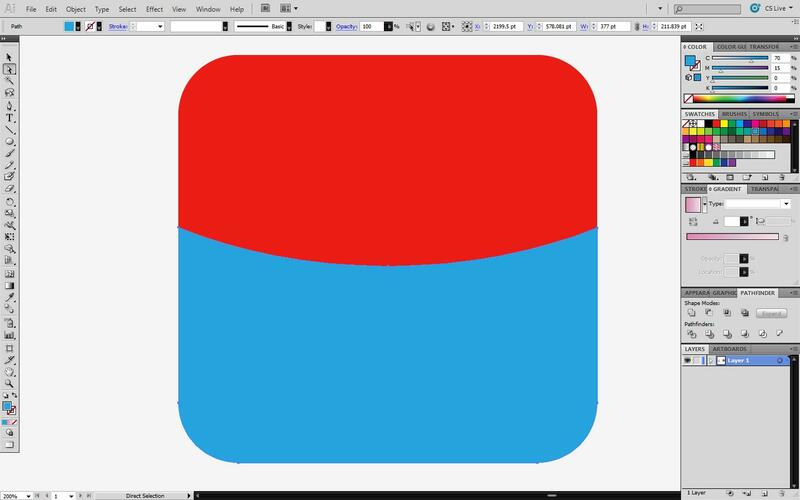 Now, hold option/alt and drag out a perfect circle and color it. Now click Shift+D to switch to the draw-behind mode. 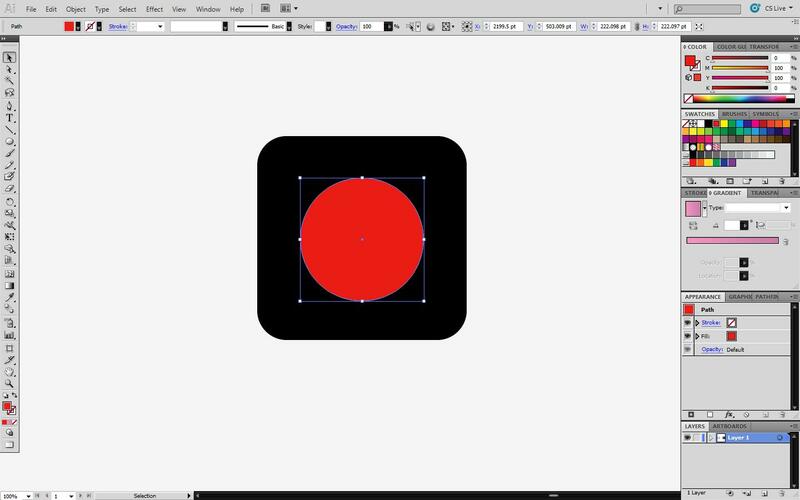 Now hold option and drag out another circle that is fairly bigger than the original. As you can see, you’ve drawn behind the original circle. Select the two circles. 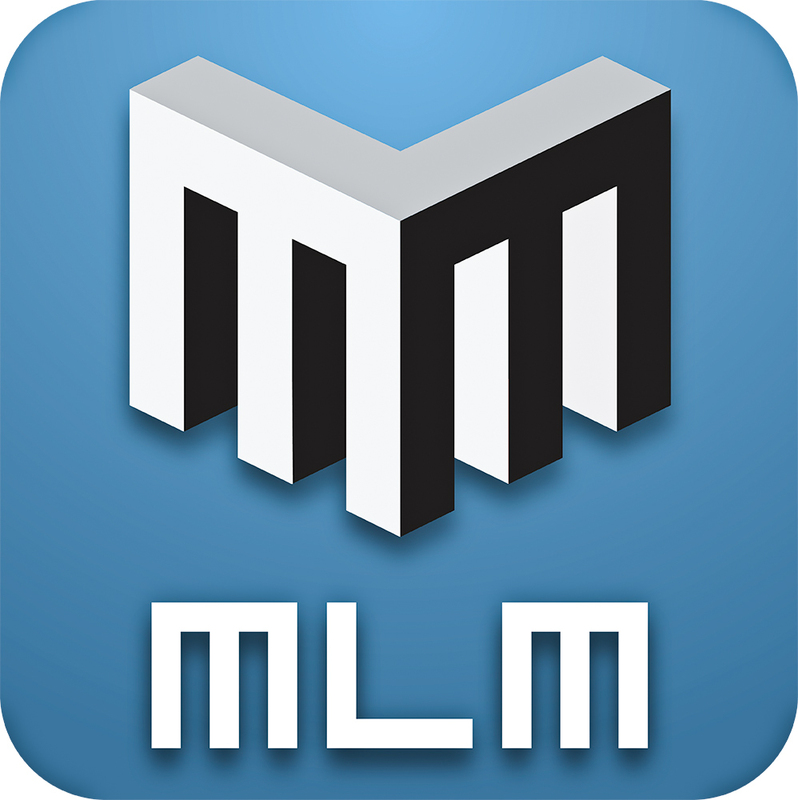 Now click Shift+M to activate the Shape Builder tool. 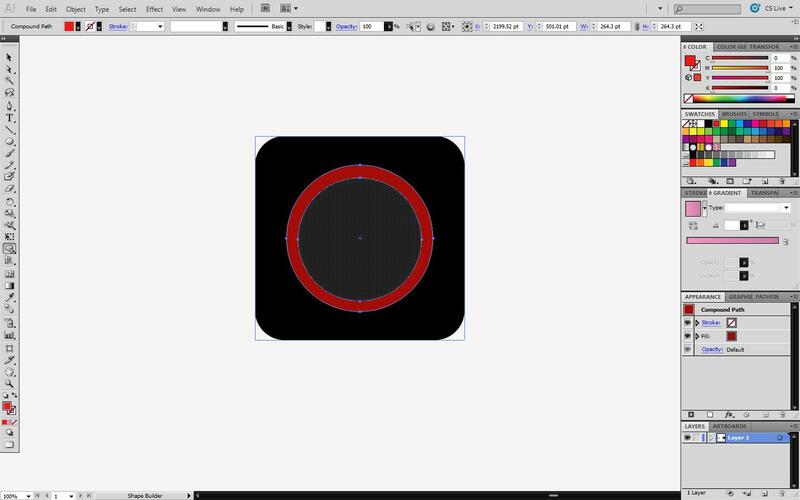 Hold option to make a minus appear and hover over the inside of the two circles and click the inner circle to cut out that part. Now make the circular object have a white color. 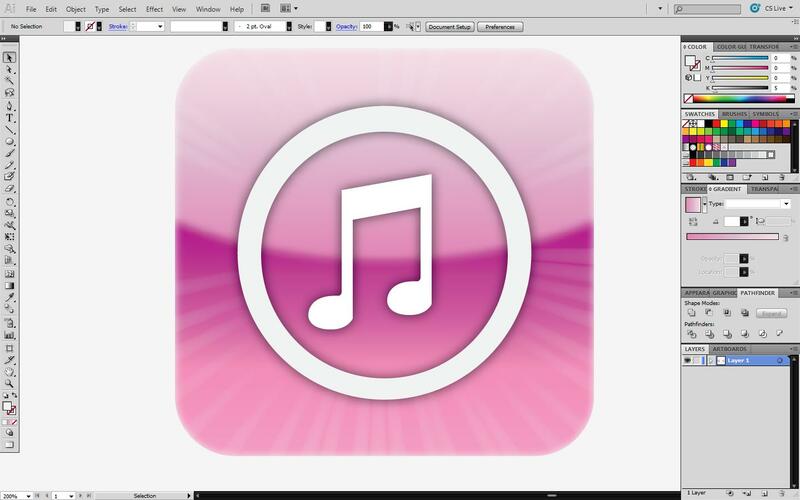 Now draw inside the empty space, a big music note. Now draw several small white circles around the edges of the black rounded box. 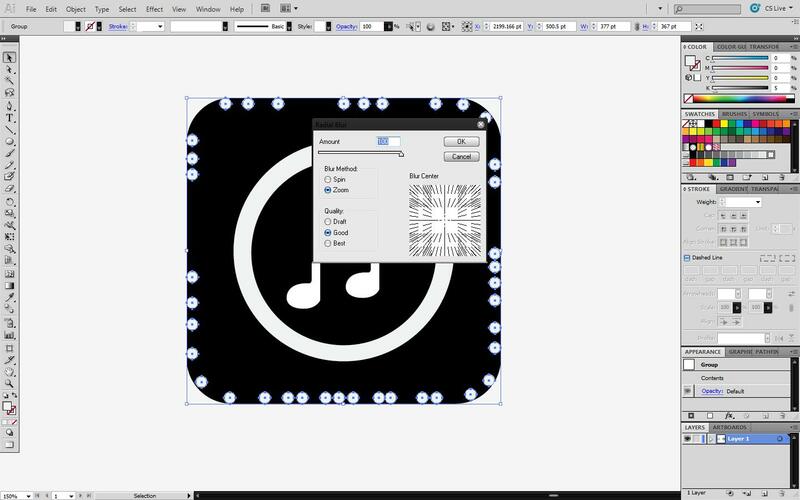 Select all the white circles or use the magic wand to select all of them easily. WARNING: MAKE SURE TO GROUP THEM AFTER YOU SELECT THEM OR NOTHING WILL HAPPEN. Now go to Effect>Blur>Radial Blur. A window should pop out. Make the amount 100, set the blur method to zoom, and set the quality to Good. If set to best, it will really slow down your program. Now add the same effect again to make the streak longer. 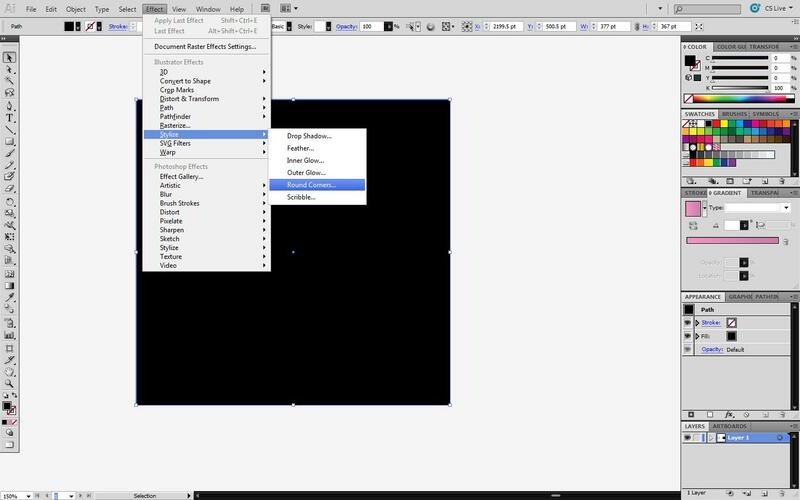 Click the black rounded box and go to Object>Expand. Copy the box and paste in front and click Shift+Cmd+] to send it to the very front. Make sure the box is selected and click “/” on your keyboard which will make it have no fill/no stroke whatever be the case. 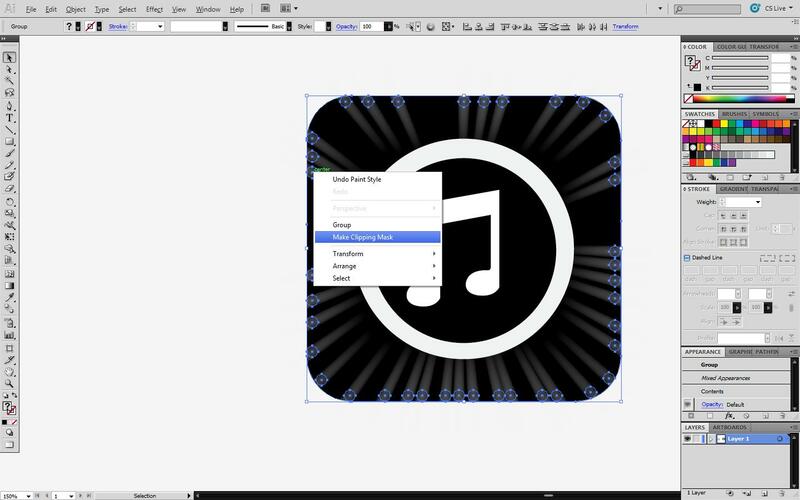 Now select the no fill box and click the steaks and right-click then choose Make Clipping Mask. Draw an elongated ellipse that covers about half of the box. 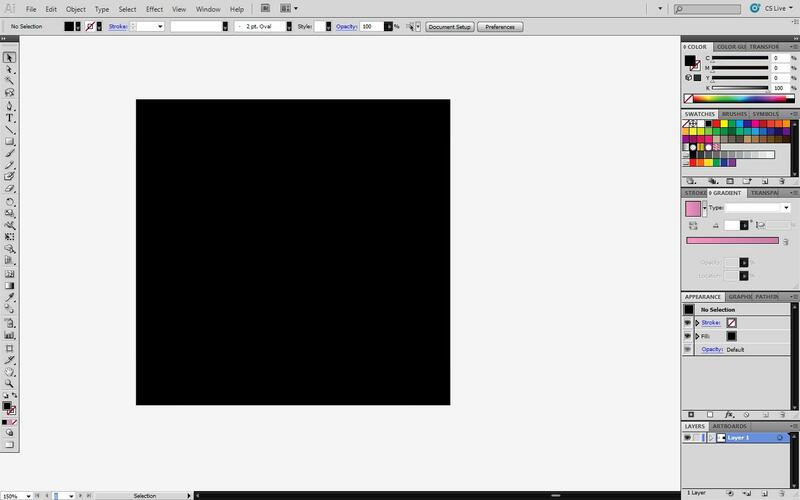 Switch to draw-behind mode and Cmd+F to paste in front the previous black box we had copied before. Make the black box into a blue box. 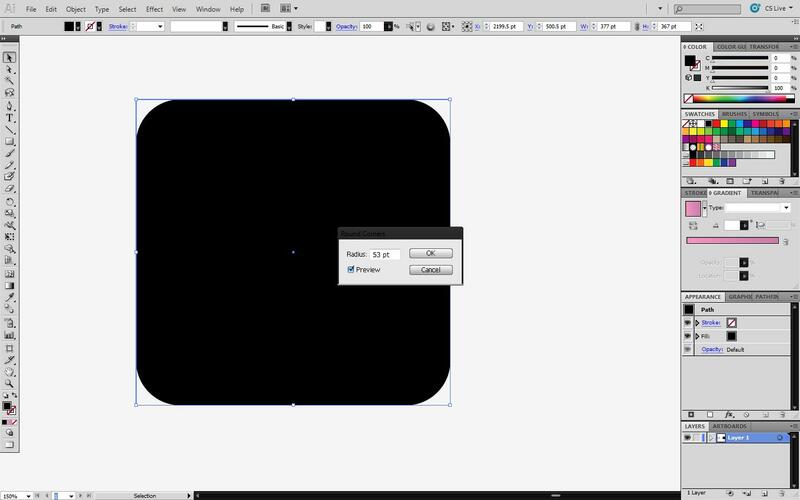 Select the blue box and the ellipse and activate the Shape Builder (Shift+M). Delete the excess area, we only want the box shape. See the picture. 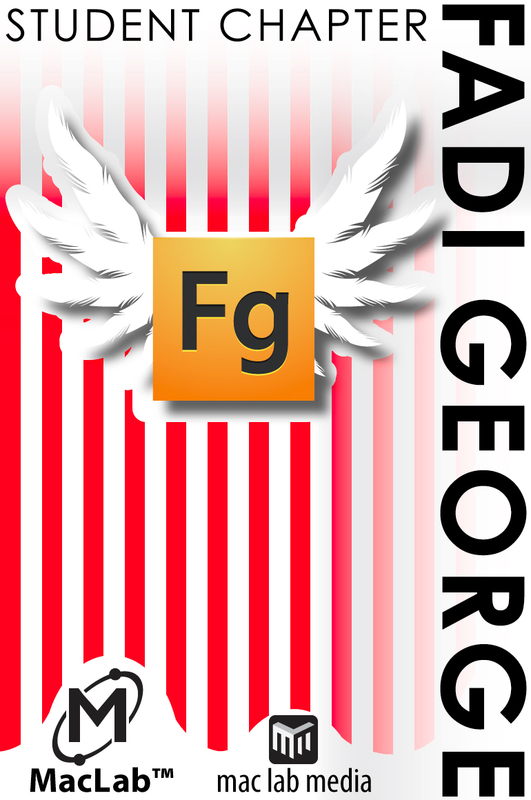 Select the red part and give it a nice gradient that goes from very light-pink to normal light-pink. 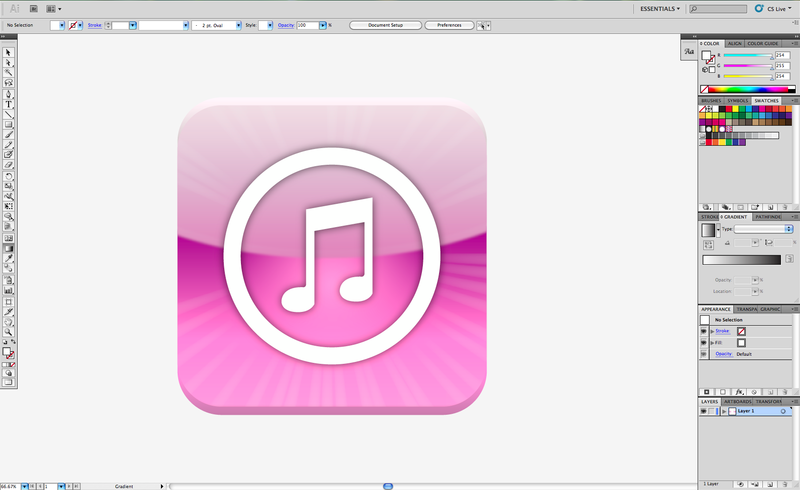 Now select the bottom part and give it a gradient as well that goes from dark-pink to light-pink. Then send these boxes to the very back so click Shift+Cmd+[. 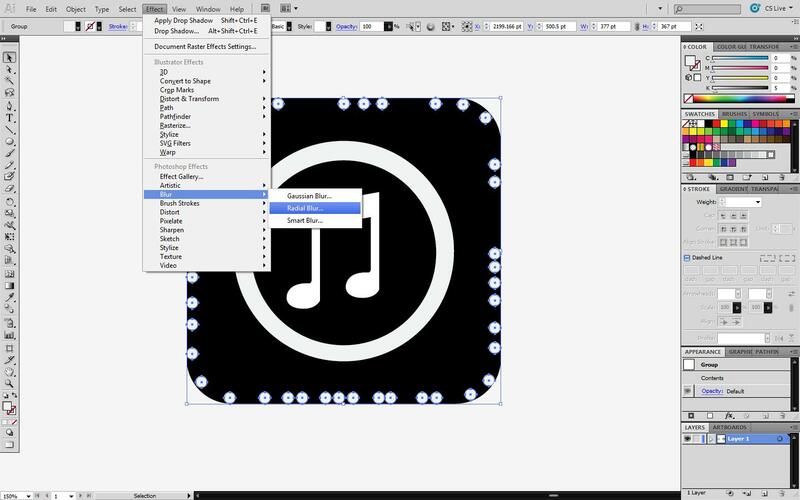 Make the music note and the circular object a group. You should know by now that groups are important. 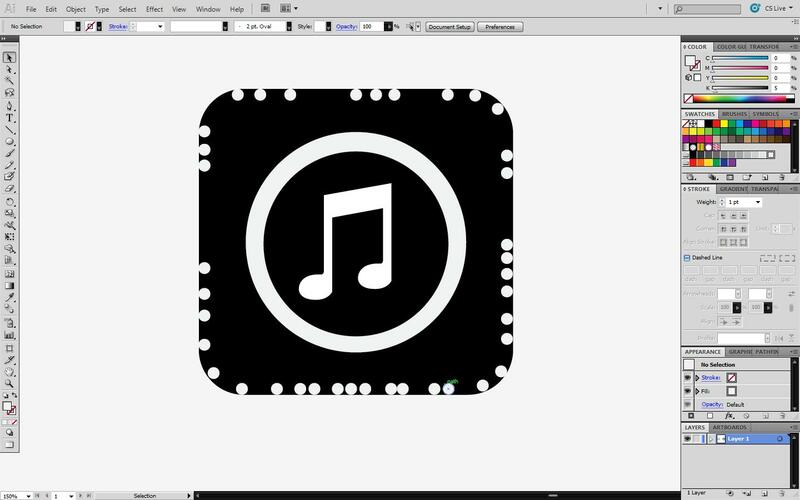 Now go to Effect>Stylize>Drop Shadow. A window should pop out. Leave the opacity to 75 but you can change it if you want. I set the X and Y offset to zero and left the blur on five. 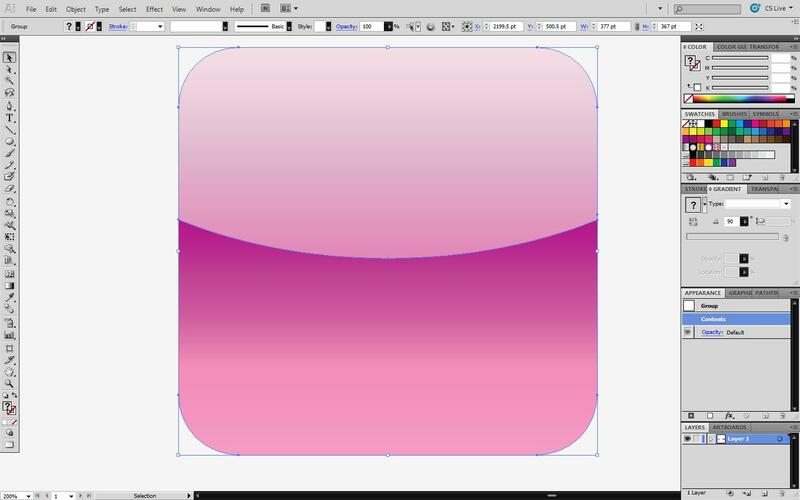 Make sure the pink gradient segments are a group. Now go to Effect>Blur>Gaussian Blur. A window should pop out. Set the blur to about 15. Paste in front the very same black box. Select the box and click “/” to make it have no fill. Guess what we’ll do now. You got it? Well, if you guessed a Clipping Mask then you following along nicely. So make sure to select the gradient group and the box(that is in the front) then right-click and choose Make Clipping Mask. Select all of your vectors then switch to the draw behind mode and Cmd+F two times to paste in front(or same position) two black boxes. In the picture, they are made red so you can see there are two of them whose outlines intersect one another. Make the top box have a highlight-like gradient. make the bottom box have a shadow-like gradient. I hope this tutorial helped you to develop skills in some features you have never utilized or try. Thank you for anyone who has followed along this tutorial. Be sure to suggest anything you would like to see in the next tutorial through the suggestion page. I will postpone my app tutorial to tomorrow and that’s a promise. I have all the pictures ready so you guys can follow up on it. It will feature new methods that utilize effects that I have never shown or talked about yet. Be sure to check it out tomorrow. Hopefully, Skocko doesn’t spring up the InDesign project yet so I can post the tutorial during class. 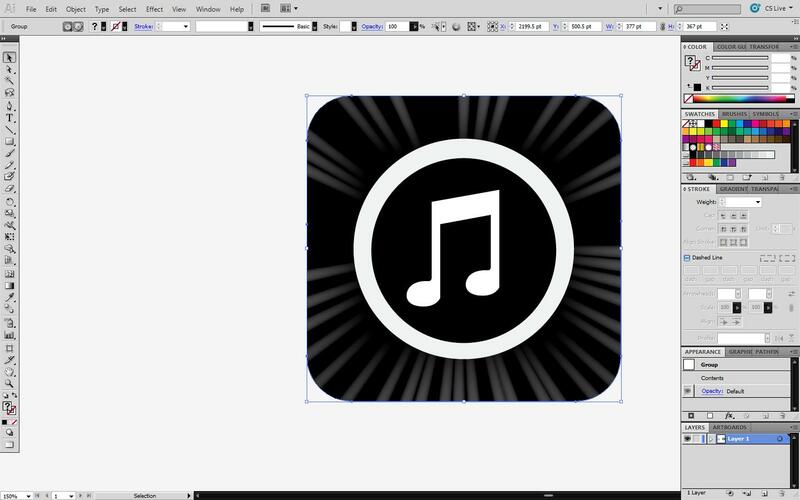 So far now, I’m just featuring the logo in progress I’m making for Mac Lab Media. Chris C. is also working on a 3-D version which I gave him a .c4d file that has all the boxes and yadda-yadda. I will try to update FJ Studios as well. I have now finished 4 icons. 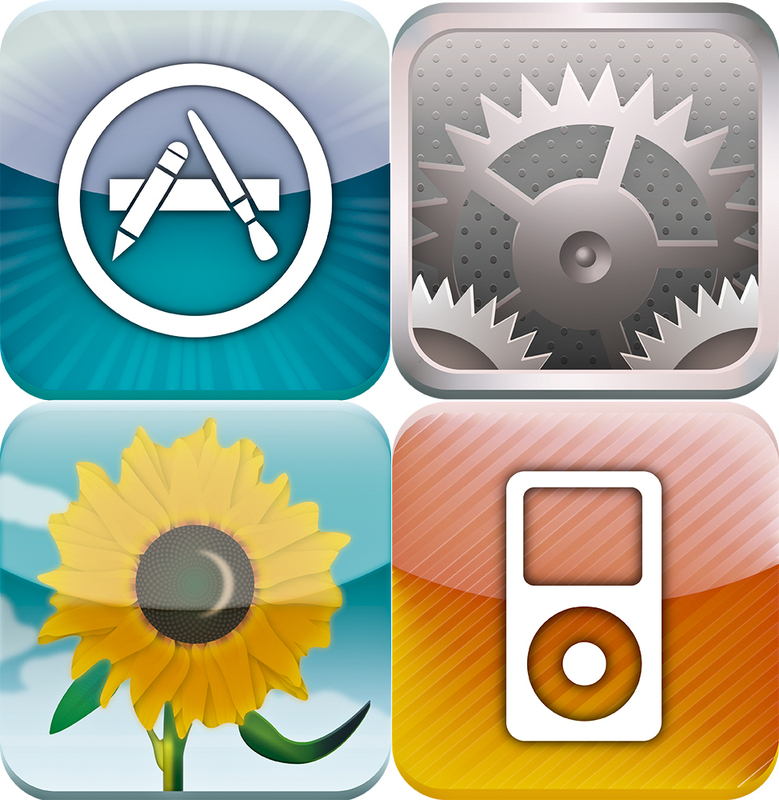 These icons are (in reading order): maps, video, YouTube, and iTunes. They were a lot of work but I still have a lot to finish. I didn’t get to finish the tutorial right now since I was still working on the iPad. Hopefully, there will be a tutorial tomorrow. Also, FJ Studios blog was created and I’m going to post the same information on both blogs(FJStudios and FaDesigns). I’m glad the iPad project is turning out fine with no issues so far. 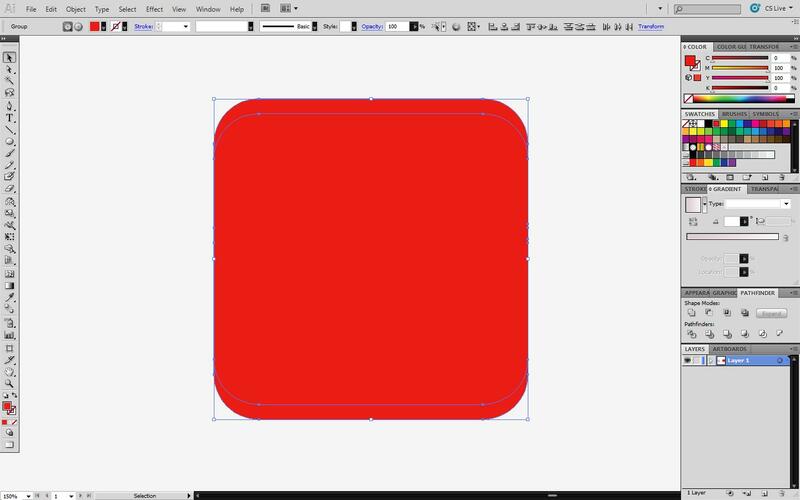 I also decided to make another tutorial to show how I quickly made one the icons I talked about at the beginning of the post. I’ll upload a full image of what my iPad looks like, but it will be later this week. 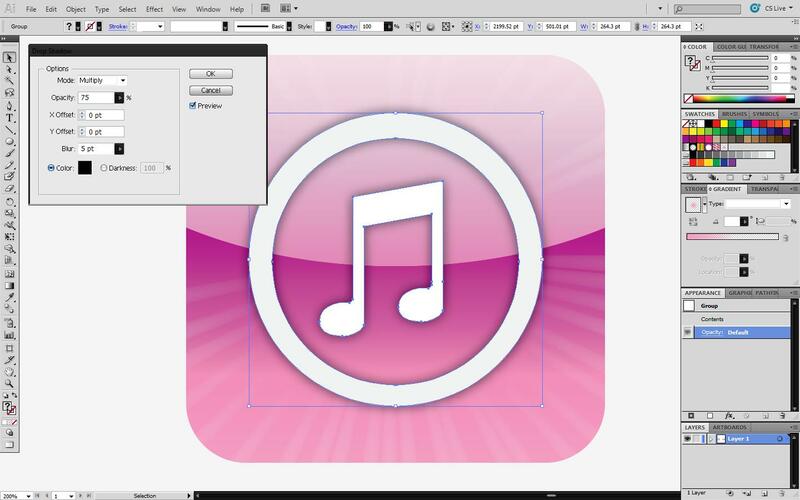 The past week, I was bombarded to design logos for Chris C., Mac Lab Media, and Local Oracle(prize competition). 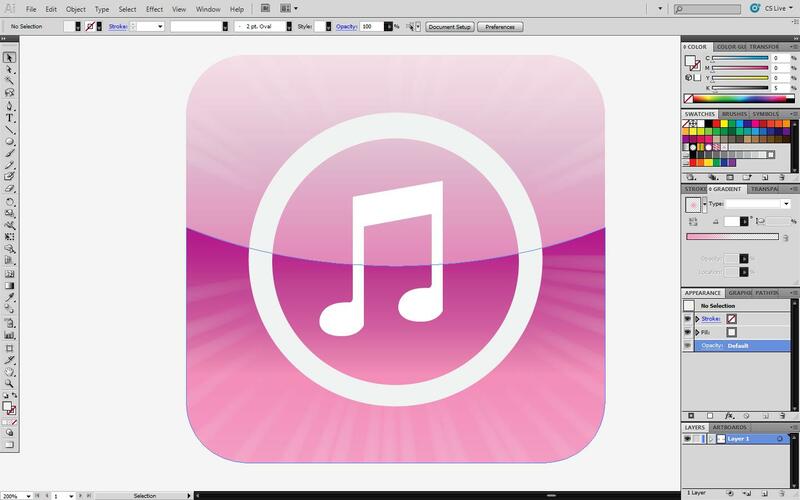 Chris C. came to me and asked me to make a logo for CR Design Lab in Illustrator and so I did and I came up with this. I made this one the featured image just because the other ones aren’t completed yet. The Mac Lab Media also want their logo finished so I experimented with the perspective tool and came up with something weird but I’ll feature sooner or later. As for the last logo I was not asked/told to do is the Local Oracle logo which is giving out a cash prize to the winner who designs the best logo. James was the one that pointed this out to me as he is trying to make cash from loads of art contests. 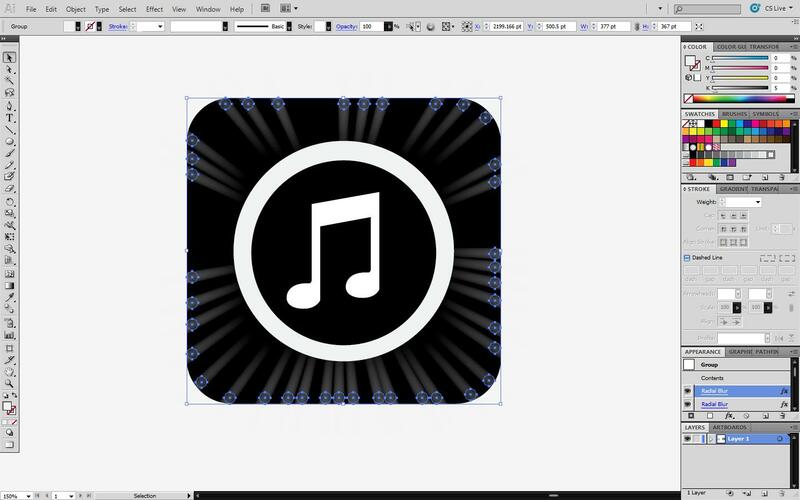 James W. and I are finally teaming up to make a cool logo for them. James also had a plan to make collaborative blog or something similar that will be called FJ Studios. I can’t really tell anymore than that but more info coming soon. Note: I’m still working on the iPad project.